The Zags’ bracket in the West Region has the lowest No. 1 seed in Xavier and a handful of other familiar-to-GU names. All in all, Selection Sunday went about as smooth as possible for Gonzaga. Most bracket gurus projected Gonzaga as a five seed. The Zags were awarded a four. The selection committee is sending Gonzaga to Boise, by far the closest site to Spokane and drivable for many Zag followers. Gonzaga’s first-round matchup is against 13th-seeded UNC Greensboro at 10:30 a.m. Thursday at Boise State University’s Taco Bell Arena. 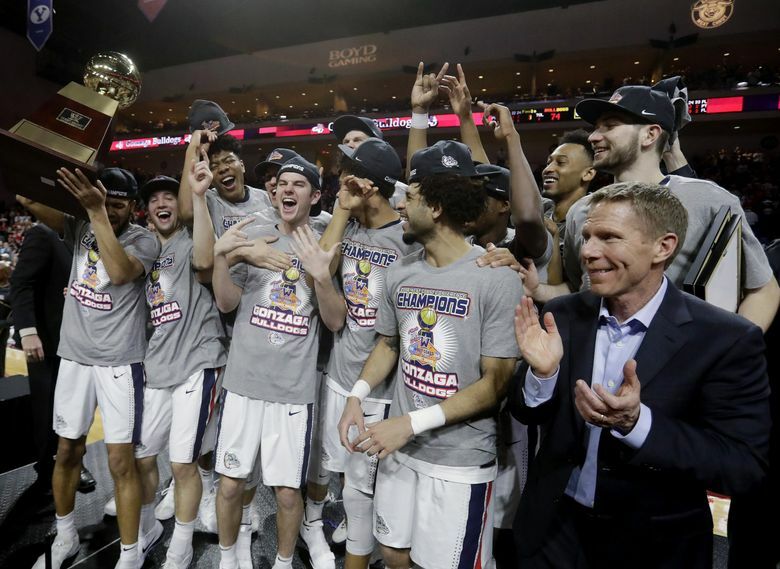 There are several connections between the teams, including UNCG’s director of operations Kyle Bankhead, a former Zag who started 48 games from 2001-04. The Zags’ bracket in the West Region has the lowest No. 1 seed in Xavier and a handful of other familiar-to-GU names in Ohio State, a potential second-round matchup, as well as North Carolina, South Dakota State, San Diego State and Texas Southern. All in all, Selection Sunday went about as smooth as possible for Gonzaga. Saint Mary’s (28-5), which finished second to Gonzaga in the WCC regular season, didn’t receive an at-large bid. The Gaels and third-place BYU will play in the NIT. UNCG, which won the Southern Conference regular-season and tournament titles, relies on a stingy defense that ranks sixth nationally in points allowed (62.4). The Spartans established a program-record with 27 wins. They won their last six and 11 of 12. The Spartans (27-7) are making their third NCAA Tournament appearance and first since 2001. Gonzaga (30-4) has been in 20th consecutive NCAA Tournaments, but this will be its first time playing in Boise. The Zags have been a four seed once, when they went 2-1 in 2009 and lost to eventual national champion North Carolina in the Sweet 16. UNCG junior guard Francis Alonso, who is from Malaga, Spain, was first-team All-SoCon and the conference tournament MVP. He hit a go-ahead 3-pointer with 19.2 seconds left in the Spartans’ 56-55 semifinal win over Wofford. Alonso, who averages a team-leading 15.6 points, has made 110 3s, eighth nationally, and shoots 41 percent behind the arc. Senior forward Marvin Smith has connected on 75 3s and averages 12.3 points. He was named second-team All-SoCon by the media, third team by the coaches. Sophomore forward James Dickey was selected SoCon defensive player of the year and second-team All-SoCon. If Gonzaga wins its opener, it will face No. 5 Ohio State or No. 12 South Dakota State. The Zags throttled the Buckeyes 86-59 in the PK80 in November. Gonzaga opened the 2017 NCAA Tournament with a win over South Dakota State. Gonzaga handled Xavier to advance to its first Final Four last season. North Carolina defeated GU in the national championship game. No. 11 San Diego State, which faces sixth-seeded Houston, edged the Zags 72-70 in December.